Disk check was revamped and upgraded in Windows 8, and along with the release of Windows 8.1, has seen an improvement in speed and reporting accuracy. 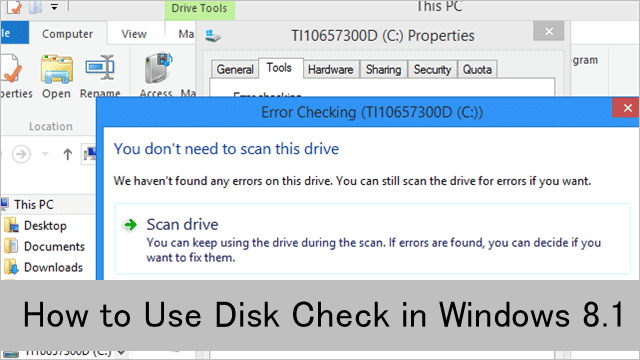 Disk check allows Windows to detect, fix and alert you to any and all disk corruption on your PC. This can be essential to determining if your hard drive disk is failing, which can prompt you to take further steps to save it, your data or upgrade a computer. 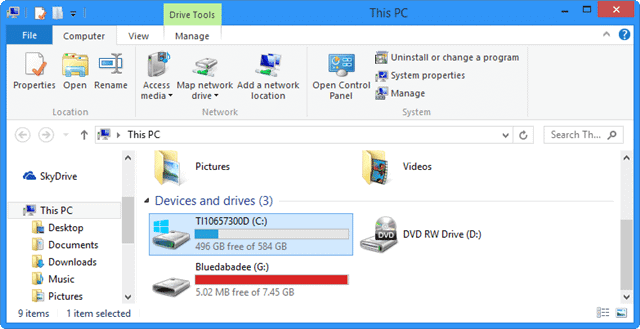 Disk check is easy to use and these steps will be helpful in Windows 8 and Windows 8.1. Disk check should be run at least once a month to ensure you’re not having any issues you’re not aware of on your Windows machine. While disk checkup will automatically run if a major issue is detected during boot, if something minor is going on that doesn’t prompt that boot, running it manually may save you time down the road. If disk check cannot run, will not start, or another error occurs, you may have a serious issue with your hard drive. In that case, backup your files and folders as quickly as possible before turning to more thorough methods of checking your hard drive’s status. Right-click on the drive you want to disk check. You can disk check hard drives, removable drives, and partitions. This can be handy for diagnosing many different media issues. 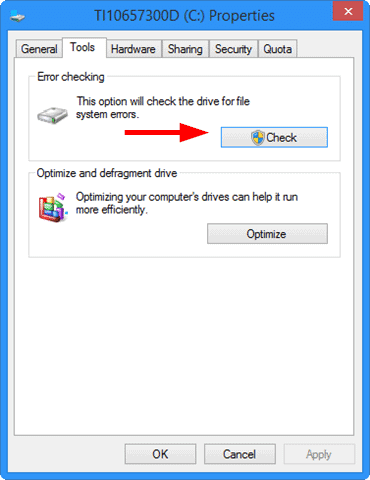 Under error checking, click on “Check” to open disk check in Windows 8.1. If your computer hasn’t already prompted you to run disk check during boot up, you’ll be greeted by this pop-up. Before you perform a disk check manually in Windows 8.1, we recommend saving your files, backing up your PC and closing all programs down. The more you’re doing on your PC or have open, the slower the process will be for your computer. While the Windows 8.1 upgrade will allow you to work rather seamlessly as the scan runs in the background, we still recommend letting it run without interference for maximum results. This lets you know that your system is okay as far as disk check is concerned. 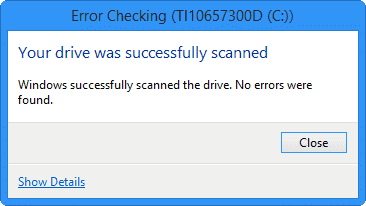 However, if you’re still not sure whether you believe it or not – which is often the case when Microsoft tells you something – click on “Scan drive” to continue. Another pop-up will start the scan. It’ll start fluctuating the time remaining as the disk check picks up speed. This process, depending on the size of the drive and scope of problems, can take anywhere from 90 seconds to hours. When finished, you’ll be alerted that disk check on Windows 8.1 is complete. If there are any issues, you’ll be alerted to them so you can further investigate and take steps to correct them which will include restarting your PC for disk check to fix them. If there are no issues, you’ll also be told so. You can look at details of the scan by clicking “Show Details” which will take you to the Event Viewer for more information. Running disk check at least once a month will help you see if any issues exist, what they are and the steps you can take to fix them. If they can’t be fixed, it may be time for a new hard drive or computer. Depending on how costly one or the other might be, ensuring your system is up to par regularly is key to combating any issues that might arise. Always keep system recovery media and perform backups of your files and folders to ensure you never lose the data you need. 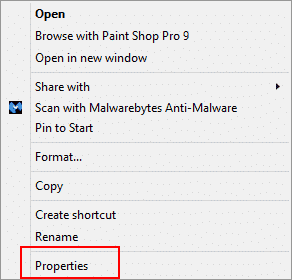 The disk check tool in Windows 8.1, along with previous versions of the OS, has been beneficial over the years to let users know when issues start cropping up with a hard drive disk. The speed boost to disk check makes it much easier to perform a scan and know what you’re facing than ever before. If you suspect issues with your hard drive disk, use disk check in Windows 8.1 to try and figure them out before jumping the gun and buying a new PC. You may not need one after all.